As babies get older and reach the age of 2 yrs, their cognitive abilities grow and they start to have likes and dislikes of their own and as a result start to dislike wearing diapers as they feel that diapers are for babies. Their bladder capacity also increases, allowing it to hold larger amount of liquid. This also means that the diaper capacity needs to increase accordingly. However, this just makes their mother’s job harder and adds more to her worry especially about things like bed wetting, which might interrupt the kid’s sleep and cause discomfort. After all, when they are awake, kids can always communicate the urge to urinate in one way or the other, but that is not the case when they are asleep. 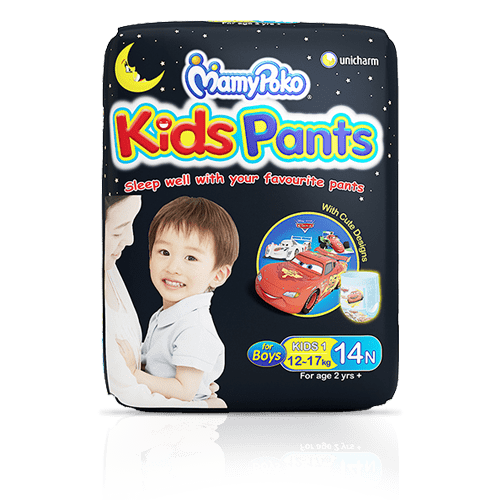 MamyPoko Pants understands a mother’s worries and introduces Kid’s Pants, a disposable underwear introduced specially for these kids. 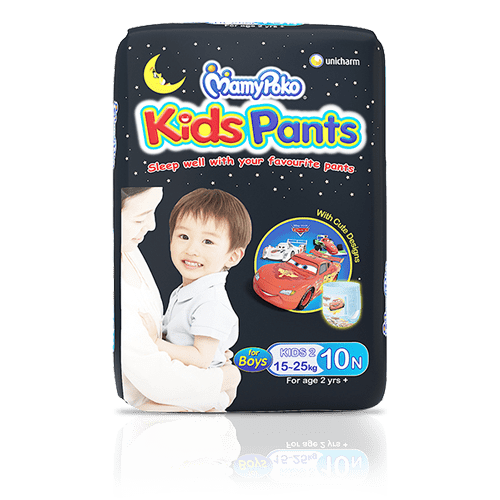 These comfortable pants provide a happy, comfortable sleep to the child and have Overnight Absorption of up to 500ml so that the child can sleep in peace. With Breathable Cotton and different designs customized according to both girls in pink and boys in blue, so that your little ones feel like wearing them readily, these disposable underpants will return the smile that has been missing from both of your faces. 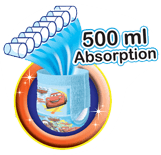 Overnight leakage protection, which gives your child the freedom from bed wetting. The Diaper can absorb up to 500ml of urine. 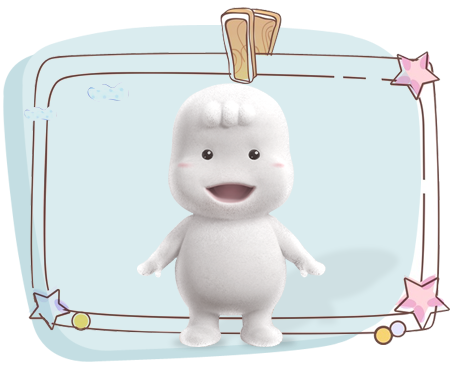 Diapers with cute designs just like an underwear which your child will wear happily. 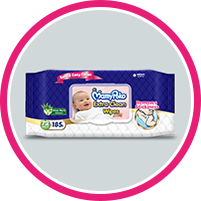 It allows humidity to pass through so that diaper does not feel stuffy even when used for longer time. 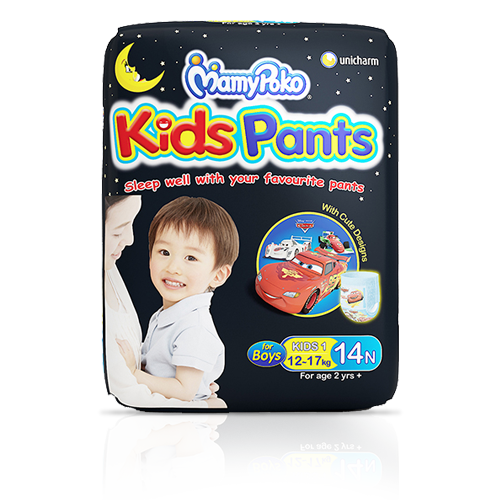 MamyPoko Kids Pants are for growing child’s need. (2) reviews found for this product. My Baby is little and he roam around here there in all my home. the product is very good. it fit best. 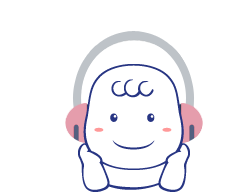 he enjoy. he sleep good. no rashes. i love it.